If you are looking for the highest level of installation for your home heating equipment in the greater Norfolk County region, trust Prevett Oil Co. to get the job done. We install some of the best brands of oil burners and furnaces available on the market today. 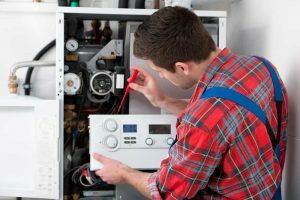 No matter the brand, your furnace, boiler, or water heater will not perform to your complete satisfaction unless it is properly selected, sized, and installed. When you call Prevett Oil for an estimate on a new system, our HVAC professionals will help you determine the best solution for your home’s heating needs. Once you decide on your equipment, our experienced installation team will professionally install the equipment to your exact requirements. Once your new heating system is up and running, our work is only done when you are 100% satisfied with the job. We are pleased to offer our customers oil burners and furnaces from the following manufacturers. Don’t see your brand on the list? Our certified technicians are trained to service all makes and models. Thinking about replacing your current heating equipment? Now’s the time! Prevett Oil is proud to honor statewide rebates for high-efficiency upgrades. Massachusetts residents can take advantage of valuable rebates toward new high-efficiency oil heating equipment. Save up to $650 in rebates for your new oil heating system. Click here to learn more about qualifying equipment and terms. More than 1,300 Massachusetts residents received valuable rebates through MEMA in 2017. More rebates will be available in 2018. Stay tuned! Interested in upgrading your current oil boiler, furnace, or water heater? Contact us to get an estimate today!